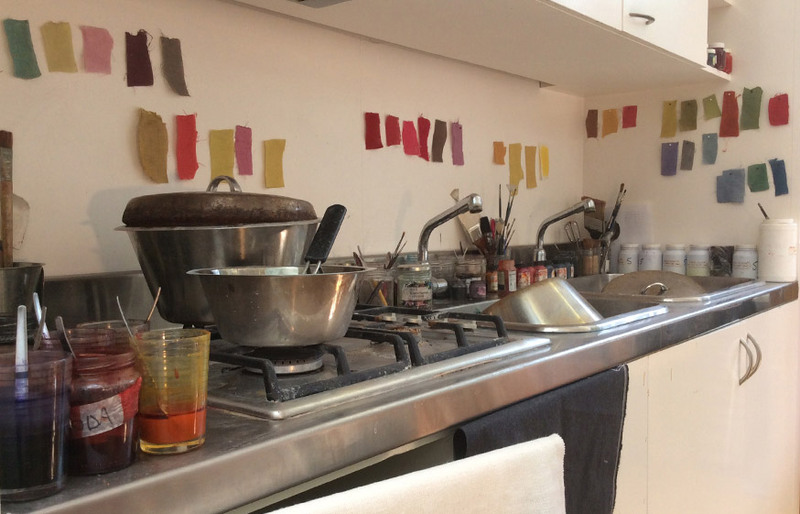 I love cooking with colour in the studio. 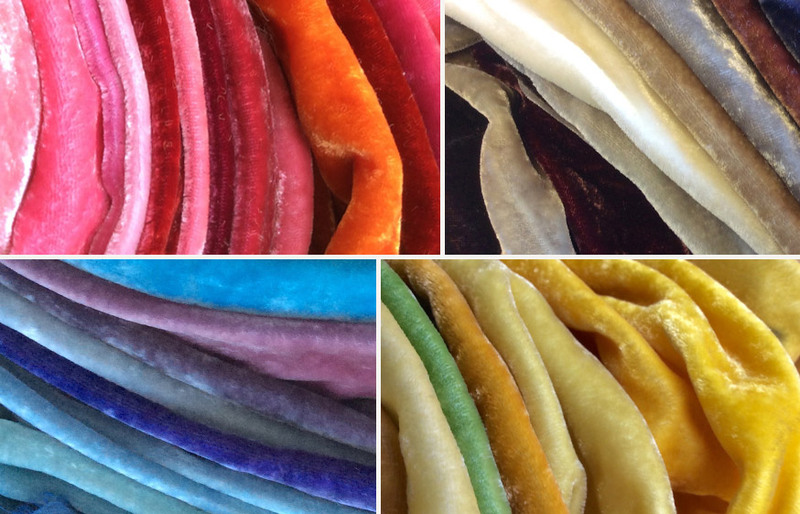 The alchemy of experimenting with hues and saturation takes place on my industrial hob and offers infinite options and unique effects. 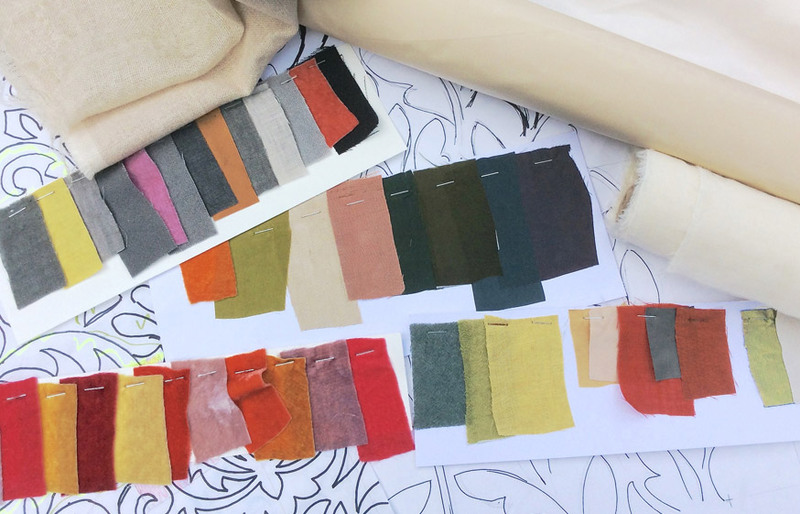 Being in control of my colours means I can include a flash of a specific shade into an appliqué, achieve an exact colour match across a range of textures, create new hues and play with unusual effects, such as ageing, graduation and layering, on all sorts of materials. 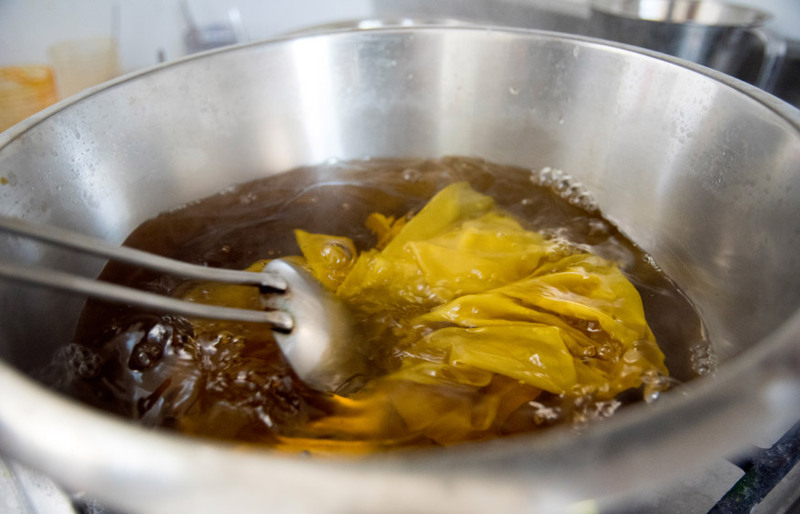 Dyeing silk satin a particular hue and shade of yellow. 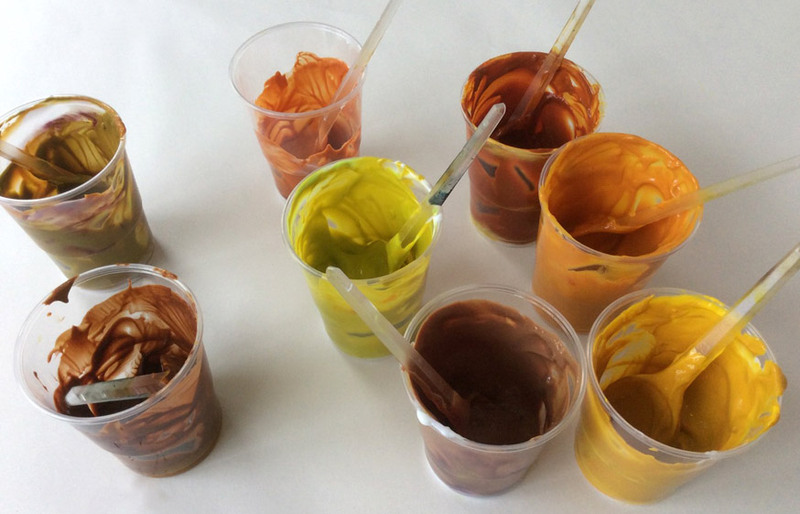 Dyed colour swatches presented with original design work. 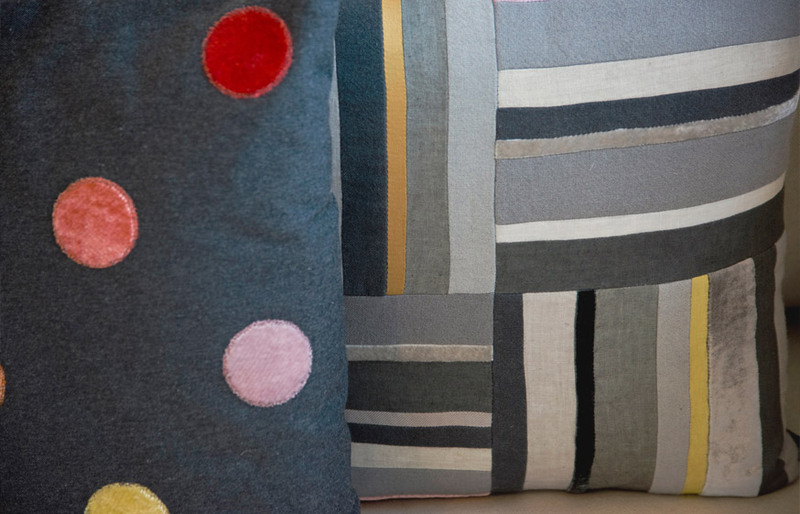 Designs using individually dyed velvets, linen and silks.